Tuesday night, I headed with a friend down to Millbrook, Ontario to do some more night photography. “But Kevin, aren’t you tired of doing night photography?” Hellz no. I see it as a challenge, and I think the photos can be more dramatic than they would be in the daytime. So there. This will be the first of three posts about my excursion to Millbrook. In 1816, John Deyell immigrated from Ireland to build the first mill on the site where Needler’s Mill is today (first picture below). In the 1880s, Millbrooks population significantly dropped when Western Canada was opened to new settlement. Much of the village has been preserved as it was 100 years ago, with more than 45 designated historic buildings – more per capita than any other Ontario town, making it an ideal location for photographers. The second shot below of the post office, (in HDR by the way), gained fame in the movie A History of Violence with Viggo Mortensen back in 2005. 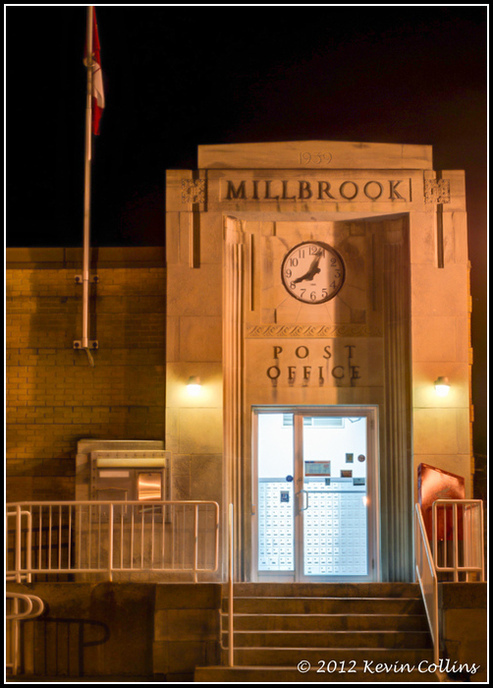 Built in 1939, it’s believed to be the last art deco style post office built. I didn’t know either of the above two facts – I just thought it was an interesting looking building. 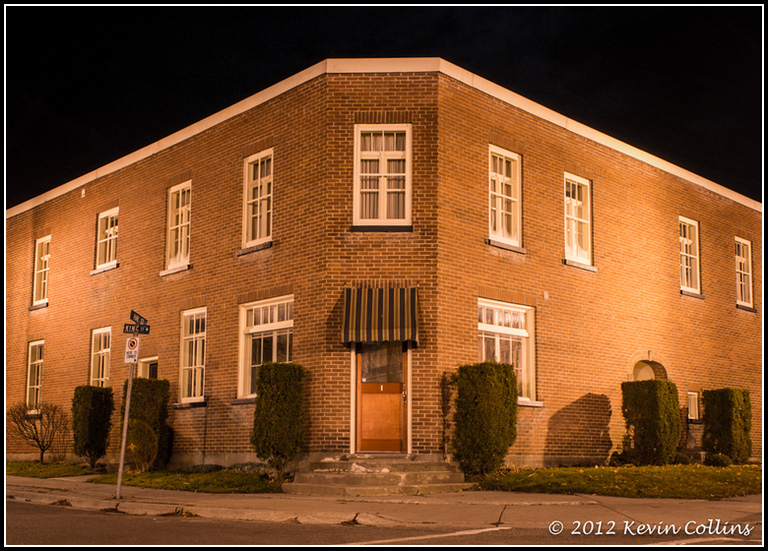 The third shot is of a building on a corner. There is nothing historically significant about it, (that I could find anyways), but I just liked the simple shape of it, especially in a town filled with elaborate historical buildings. I had to set up the show while standing in the centre of the intersection. Luckily, there wasn’t much traffic at that time of night. 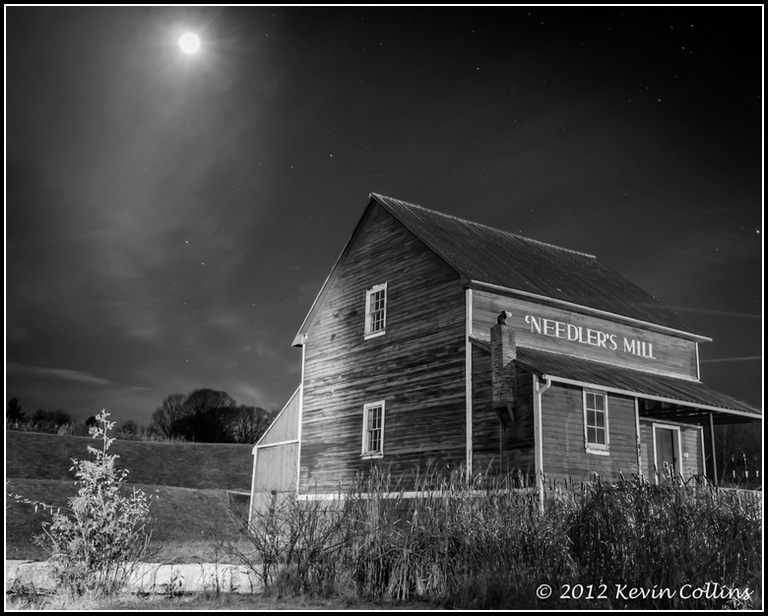 I love the mill shot Kevin! That one is a definite keeper! Thanks Dave. It’s one of my favorites of the night.